In this course, we talk about a really tough subject – how to handle an outside senior stakeholder who wants to exert influence on your project. This can be very difficult when that influence is contrary to decisions already agreed in the project by senior stakeholders, or if that influencer may be uninformed. 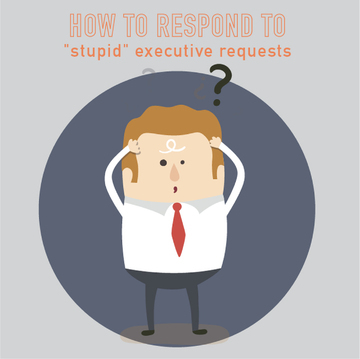 In this course, we will outline a formula which she uses to effectively manage such requests. Following that 5 step formula to develop a response statement. This course is worth .75 Leadership PDU’s or continuing education credit. On completion of this course and passing the quiz with 80% or greater, you can download your certificate. If you are a PM Happy Hour Member and have provided us with your PMI ID, we will upload your PDU’s for you, and email you confirmation.